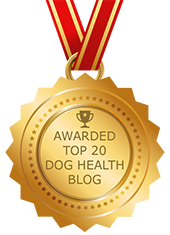 Duke's Bloody Vomiting and Diarrhea | Dawg Business: It's Your Dog's Health! They tried to check Duke's stool but couldn't get a good sample. From what they were able to examine, they said there was nothing abnormal in it. Based on the findings and history, Duke's veterinarian concluded that Duke likely has stomach ulcers. Duke received a shot to stop the vomiting and was released to home care with medications to treat the ulcers as well as vomiting meds. The next day, however, Duke also started having bloody diarrhea. The emergency vet Duke's mom called said this may be normal with ulcers. Should stomach ulcers cause fresh blood in the stool, though? As the day went on, the blood in the poop decreased, but Duke continued to have watery diarrhea. This went on till the next day when the blood also returned. After calling the vet, Duke's mom was told to give things another 24 hours to settle. Even though Duke's diarrhea had more blood in it than anything else and Duke stopped eating, the vet insisted on waiting. 24 hours later, Duke still wasn't eating and continued pooping blood. Finally, the vet concluded that Duke might not have stomach ulcers since the blood in the stool was bright red. It was bright red the whole time. But they still wanted to wait one more day. They advised a bland diet for the time being. Meanwhile, Duke continued to spew bloody poo everywhere and refused food. Duke's mom took him to the ER. They kept him for fluids and diagnostics. Finally, they were able to get a good stool sample. Duke had whipworms. Poor Duke! 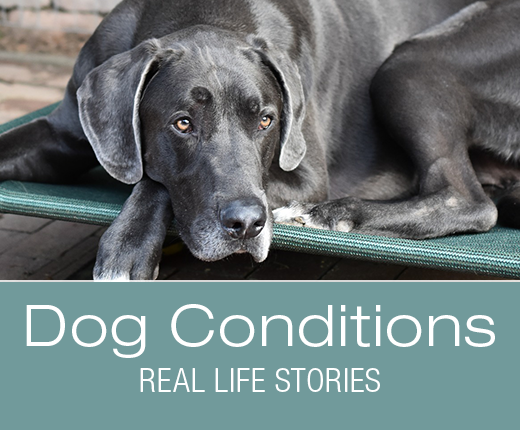 My dog had bloody diarrhea a few times, and at one point she was diagnosed with an ulcer. Thankfully the medication helped, and it had the most amazing side effect - she stopped circling because of her dementia. Wow, really? What medication was that? It's scary when something like that happens with a dog. 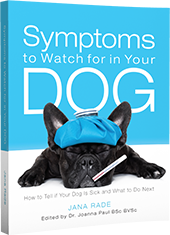 You feel helpless and frustrated when the initial vet treatment doesn't work. And whipworms are awful. One of my dogs had them and it took several tests before it was diagnosed. Sorry about your pup. Sometimes it's not easy getting to the right diagnosis. Poor Duke! And poor Duke's owners! I'm glad they were able to figure out what was going on though. 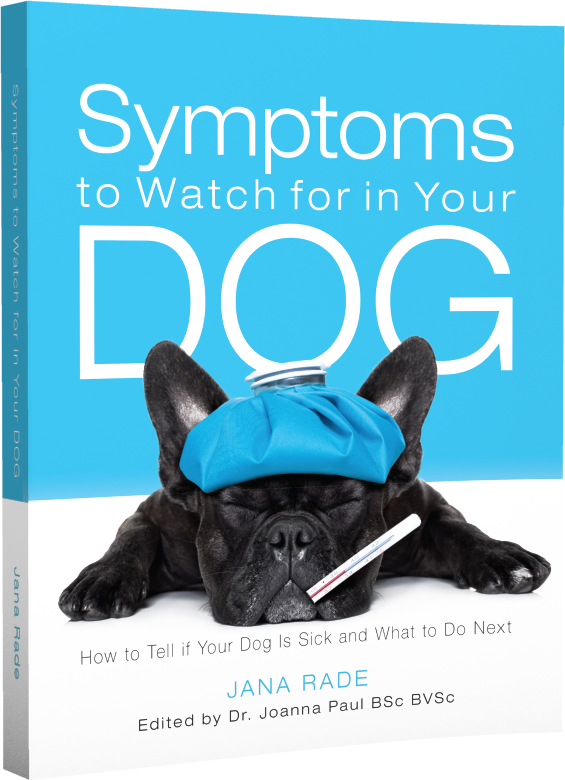 Yes, figuring out what's wrong is the key to making the pups better. This sounds like a good guide. I can't tell you how many blood tests I've paid for and they didn't get much information from. I've also found that consulting more than one Vet - even at the same clinic - helps. Yes, absolutely. More brains, more insight. Always helps unless you're dealing with something straightforward. How sad one of my elderly dogs had a lot of stomach problems also unfortunately this is common same as worms which are nasty. I am impressed they took so long to do a stool sample test. Well, if you have a puddle of liquid, getting a usable sample isn't easy. Are whipworms easily treated? Nicely written article - I wanted to know what happened next. I hope Duke is ok. Relatively easy; there are several drugs that are effective. Needs repeated treatments, though, particularly since the eggs survive in the environment. Most heartworm preventives kill whipworms as well. Yep. Yes, once treated, Duke is fine. Oh poor Duke! I am so glad that he was diagnosed properly. I never heard of whipworms before but seems like they are really scary! How is Duke doing now? Duke is doing well now. You don't hear much about whipworms probably because dog who are on heartworm preventive (most of them) are covered against them. Poor Duke!! Whew I was terrified this story was going to end badly. Thank goodness they figured it out. I've honestly never heard of whipworms. I hope Duke is doing ok now. Fortunately, sometimes things that look really bad are easy enough to fix. Incredibly well written and easy to understand - so incredible that the cause was from worms! We’ve had our own experience and it’s so very disturbing. Thanks for the helpful info! Yeah, you wouldn't expect that in an adult dog. Comes to show that anything can happen. What a nightmare. You think you know what something is, you have a diagnosis and still its wrong. Poor Duke, I hope he's OK. Diagnosing can be quite tricky, actually. Too many different possibilities for the same set of symptoms and not always the obvious. Poor Duke! I'm glad that they were able to figure out the problem and treat him. Yes, most of the time, once you find the right diagnosis, you're about there. I'm so glad this story had a happy ending for Duke and his family. Yes, all is well what ends well. Yikes, poor Duke! That blood is always a scary sign something is not right. So glad he is okay! Blood coming out of anywhere is always scary, yes. Sadly, blood that you don't see can be way more dangerous. At least, if you see it, you can do something about it. Oh poor Duke. I'm surprised they couldn't figure out sooner that he had whipworms. I'm so glad his mom took him to an ER Vet, I shudder to think what would have happened if she didn't. Well, not something you expect in an adult dog. And I know from experience how hard it would be trying to get a usable sample from liquid poop.